Good food, road cycling and outdoor adventures are just some of the things that excite me in life. There's also Brand24, digital marketing and advertising -- some day I'd love to try the last one. Loving English language and literature since a kid. UFO, Holy Grail, 9/11, vaccination, Illuminati and NWO are just some of the biggest mysteries of this century. There’s one more that gives some of us sleepless nights. It’s the source of direct traffic in Google Analytics. Direct source our traffic has been a subject of a debate since many years. Some believe they know what the source of direct traffic is and some are far from such conclusions. The truth is out there. Let me explain to you how we found sources of direct traffic using our social media monitoring tool, Brand24. Accessing a link from bookmarks. Clicking a link in a messaging app. Clicking a link in a PDF, .doc, or other documents. Clicking a link in a mobile app like Facebook or Twitter. Accessing a link organically via some browsers. Here’s a short video that does a pretty good job of explaining direct traffic to your website, some common sources, and how to see where it comes from! There are two things about direct traffic. The good one is that direct traffic often makes a considerable part of overall website traffic. The bad thing is that it’s hard to identify where does it come from. There are so many options that identifying 100% sources of direct traffic is impossible. For example, someone might have mentioned your website address in a Quora comment, in a social media post, on a website and elsewhere. You can minimize the risk of direct traffic by creating dedicated links that are easily trackable by Google Analytics. To do so, you can use Campaign URL Builder from Google (known as URL builder previously). But that’s a story for another occasion. One way to identify direct traffic sources is to use a social media monitoring tool like Brand24. It’s quite simple. Social media monitoring tracks in real time all online mentions of predefined keywords. You can, for example, monitor your company name. Brand24 lets you uncover the source of most of your direct traffic by linking it to news stories, blog posts, social media posts, etc. 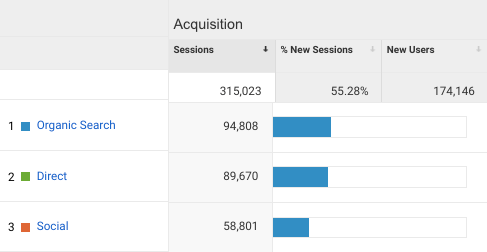 In March, we noticed an enormous increase in new visitors on brand24.com. The vast majority of them was categorized as direct traffic. 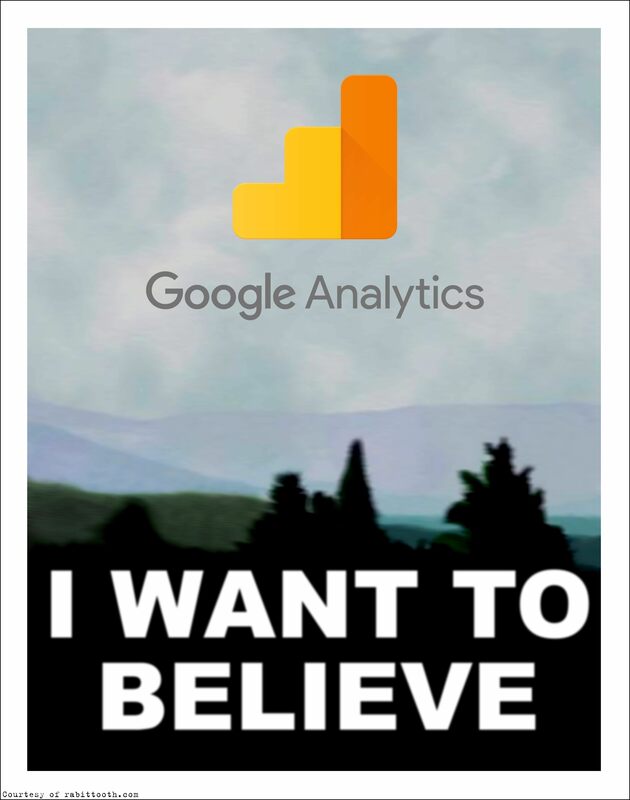 Google Analytics was helpless. Using our own tool we were able to connect the dots. One of the keywords we monitor is our company name, brand24. To uncover direct traffic sources, we went to our tool. On March 1st, there was a significant increase in social media reach of brand24 mentions. The green line represents social media reach of mentions and the blue line stands for the number of mentions. The graph clearly shows that there wasn’t a significant increase in mentions volume. The big increase was in the social media reach of these mentions. It means that brand24 was mentioned by sources of a considerable social media reach. In Brand24, reach is an algorithm based on the size of a source’s audience: the number of followers and visitors. After having a closer look at the case in the Analysis tab, we found out that brand24 was mentioned by Inc.com. This is how we track direct traffic sources on a daily basis. One of the features of the tool is Influence of social media authors. It sorts all sources mentioning your keywords according to their social media reach. This is how you can track direct traffic sources. If you feel, it’s something you need, you can try Brand24. It’s completely free. No credit card required.